On Wed night, February 26, The American Dream tour came to Starland Ballroom in Sayreville, NJ. The tour brings the best of heavy music to your door. It features Bring Me The Horizon as the headliners. Along with Of Mice and Men, Issues, and Northlane. The show was completely sold out, packed wall to wall. Hailing from Australia, Northlane opened up the show. From how the crowd reacted, it was clear to say that a lot of the kids there were familiar with the band. Issues took the stage shortly after Northlane left it. I hadn't seen these guys play since last summer's Skate and Surf festival, so I was personally excited. Their debut full length was released on the 18th, and they played like they had something to prove. The duel vocals of Tyler and Michael were right on point, and the rest of the band made sure that they kept the crowd moving. OM&M do not want their picture taken. I was bummed I couldn't shoot them, but they put on a fantastic show. And I really do love their new album. Last up was the headliners, Bring Me The Horizon. 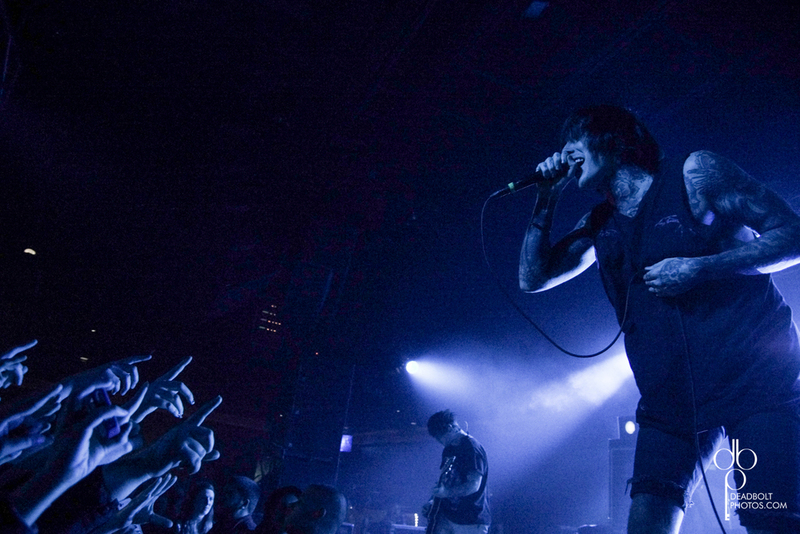 BMTH are always one of the most energetic bands playing any show, and Wednesday night was no exception. Lead by the charismatic Oli Sykes, they make the most of every second of their stage time. Between their lights, confetti, smoke, and the music, they make sure that they put on one hell of a rock show. The American Dream Tour is perfect for fans of metal. Every single band leaves everything they have on the stage. The tour still has some more time in the states before hitting up the rest of the world. Click here to see the dates and make sure not to miss it if it comes to your town!